For the third year, The Orpheum Theatre is offering its Classic Summer Movie Series. Originally built in 1928, saved from the wrecking ball and restored to its former glory in 1984, The Orpheum is a historic movie house located downtown at Beale Street. It’s a great chance to see all-ages films like “Casablanca,” “The Princess Bride,” or “Jaws” the way they were intended–on the big screen. If you like musicals and can belt it out with the best of them, sing along with “Grease,” “Mama Mia” or “The Wizard of Oz.” To enhance your movie experience, they are offering fun events in the lobby like trivia nights, costume contests, special guests, and pre-show concerts with the impressive Wurlitzer pipe organ. You can’t beat that! 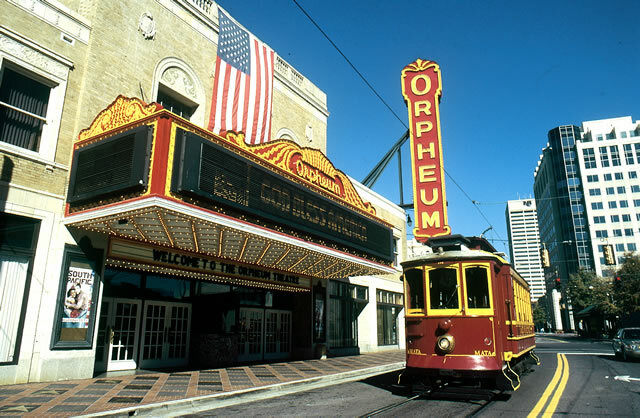 Called “The South’s Finest Theatre,” The Orpheum presents concerts and Broadway touring productions, and is home to Ballet Memphis and Opera Memphis. This video covers their $5 million renovation to restore the theatre to its original elegance with its brocade draperies, gilded moldings, and enormous crystal chandeliers.